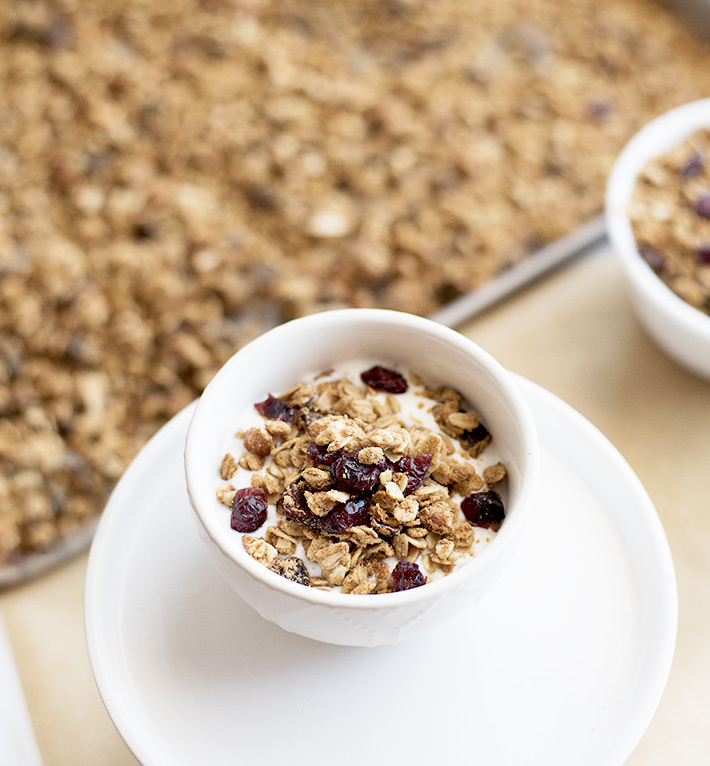 This flavorful, healthy granola is simple to make and is a great addition to your meals or snacks. 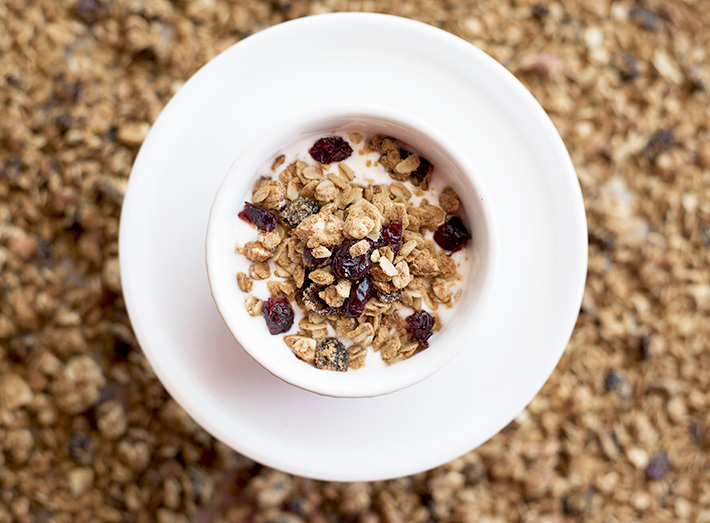 Add it to yogurt, sprinkle some on top of oatmeal, or just eat it alone with milk. 1. 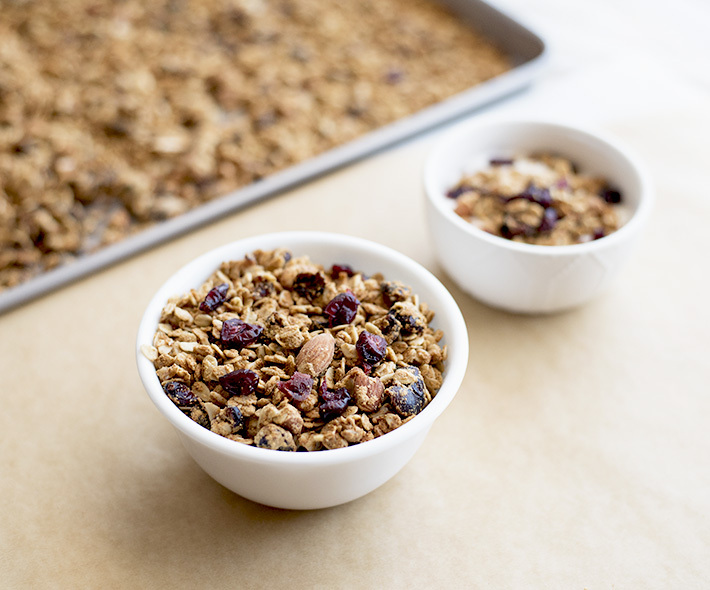 Preheat oven to 325 degrees F. Line a sheet pan with parchment paper and set aside. 2. 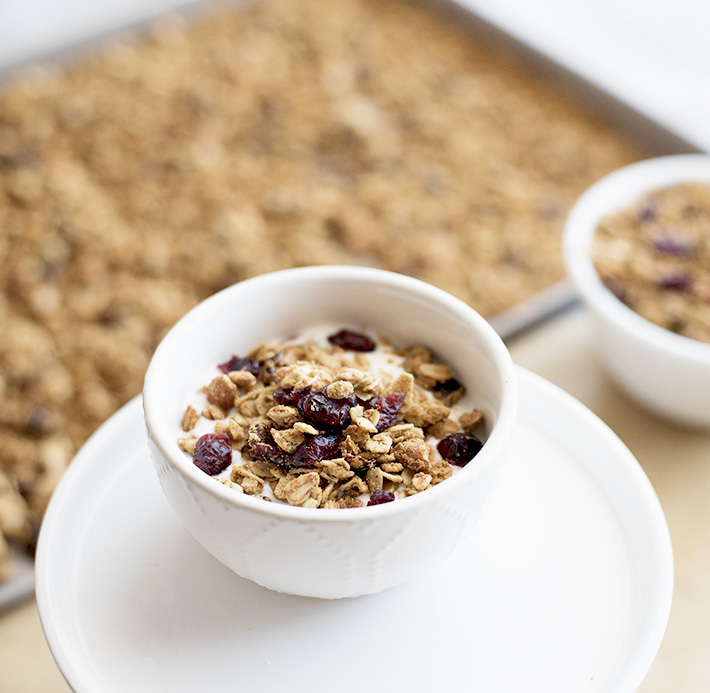 Toss together oats, protein powder, almonds, cranberries, cinnamon, and salt in a large mixing bowl. 3. 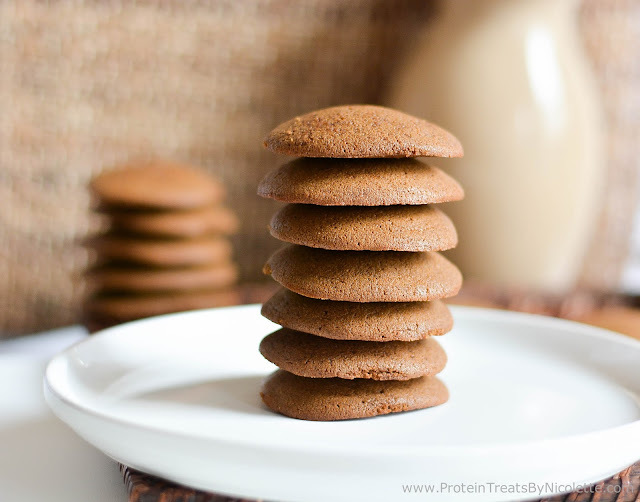 Place the maple syrup, coconut oil, almond butter and extract in a microwave-safe bowl and heat for 30 seconds. Stir then heat another 20 seconds. Stir again. 4. 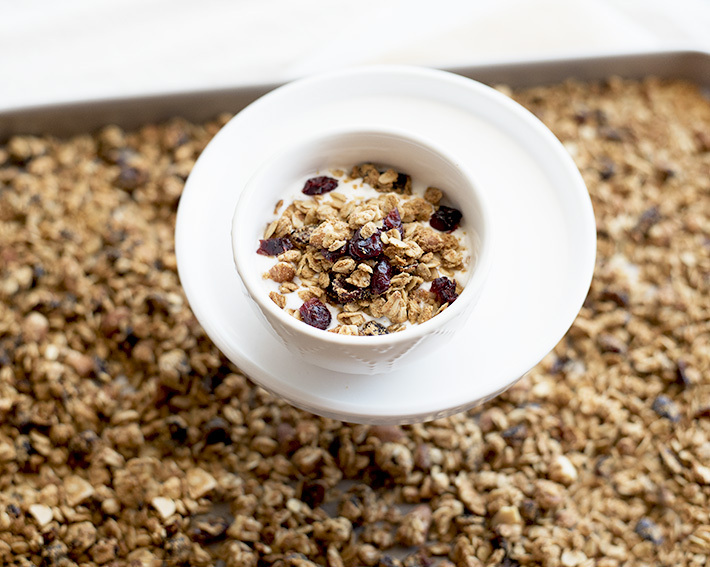 Pour liquid mixture into the bowl of dry ingredients and stir. Combine until everything is evenly coated. 5. 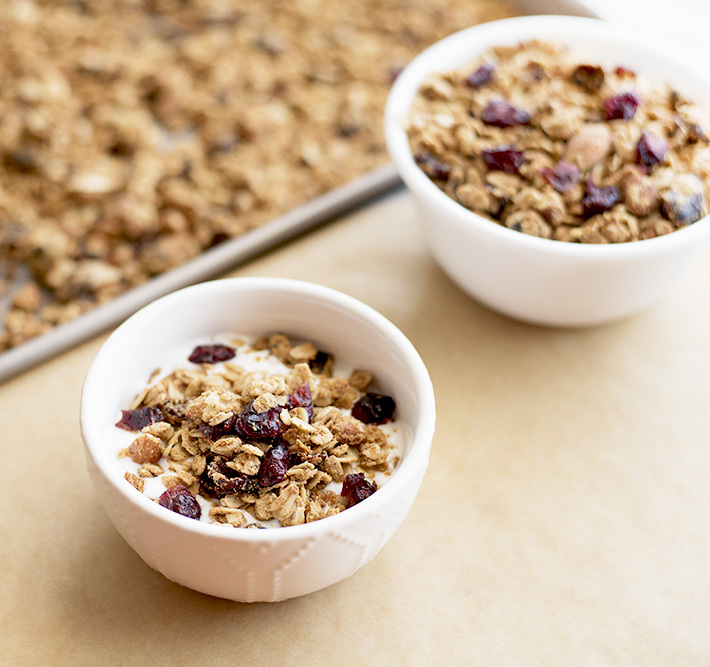 Spread granola mixture onto sheet pan and bake in the oven for 35-40 minutes, stirring two times during the baking process.